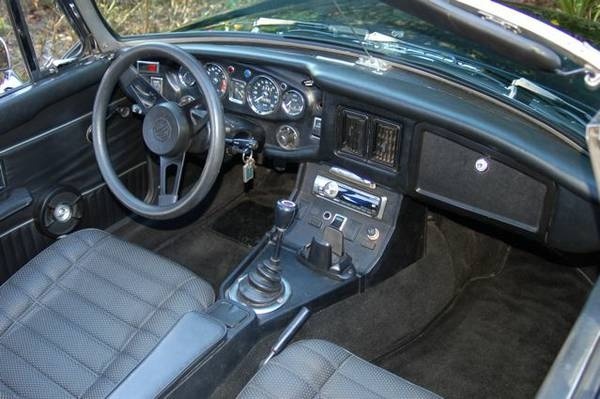 Steve Lynn's 1973 MGB Interior. Classic black vinyl interior. Why vinyl? Jaguar hated that MGB had a leather interior that was as good as theirs, so they had the mother company kill MGB's leather, V8 engine and also made dealers buy 3 other BL cars for every MGB, because only MGBs would sell.